Just when I thought to start unpacking and freshening Spring gear, slush and sludge came plopping on the windowsill today. Mr. MSR was prepared nonetheless. Suited and booted (literally). 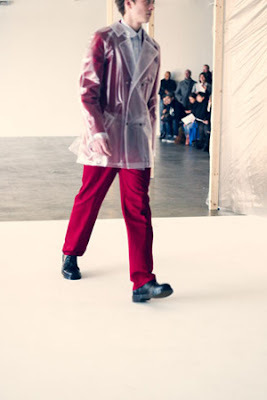 The rainy weather brought me back to Patrik Ervell's recent "Peekaboo Slicker" for his Fall/Winter presentation. 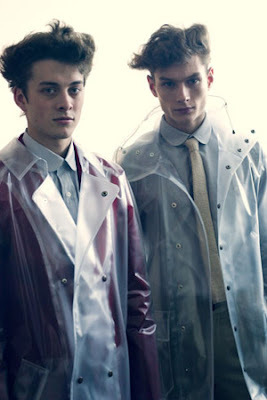 Patrik designed a multitude of clear rain wear--in traditional cuts and poncho styles. 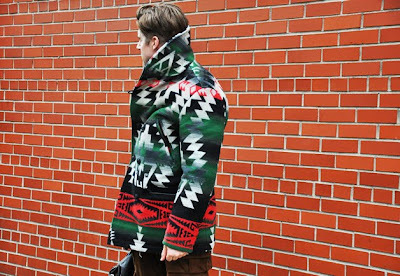 I rooted for his traditional style simply because of the unique designing and made-to-measure appeal it offered. 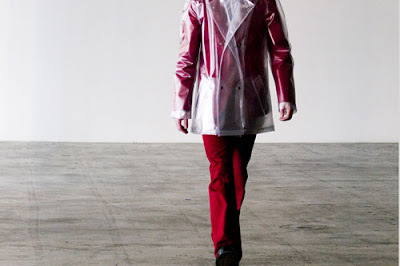 PATRIK'S CLEAR TAKE ON THE RAINCOAT. Dealing with long lines, show seating confusion, PR tangle and wrangles, are just some of the added Fashion Week accompaniments day-in-day-out. To offset the negative, I took refuge in scores of freshly minted dressers that mixed out on the scene. Just a few expressions Mr. MSR seen on male show attendees. 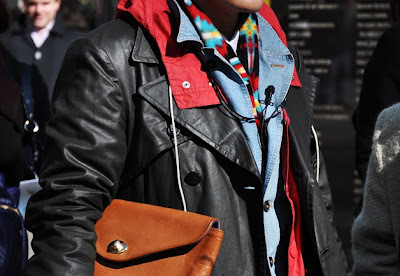 Fashion players in duckling boots and navajo jackets with clever beanie hats and Levis 501's was satisfying to the eye. 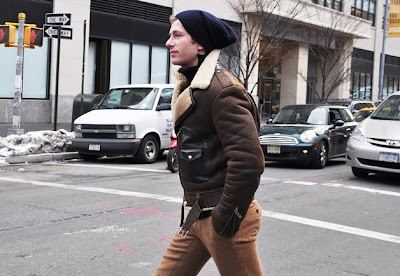 Thanks to Tommy Ton (GQ photoblogger) check out my best guy captures from Fashion Week. 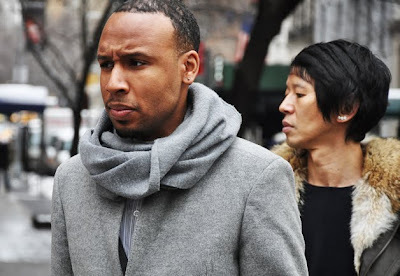 Over the weekend I tuned up Dion Dimucci's "Abraham Martin and John" as Smokey Robinson smoothly renditioned the song. Overall the lyrics speaks on "great men we lost." 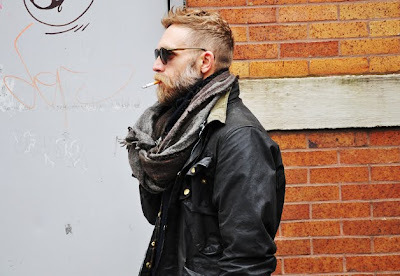 As the track went along I fixed my thoughts on Sir Alexander McQueen. During the world wind of New York Fashion Week news quickly ricocheted of the untimely death of design powerhouse Alexander McQueen. 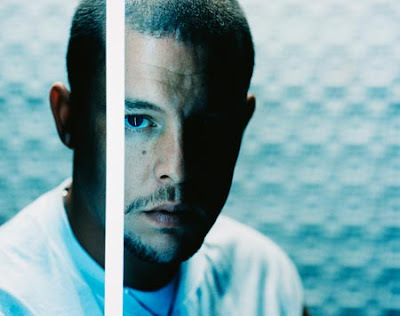 It wasn't a secret, McQueen dealt with dark emotions and angst oftentimes coupled with instant fame. The issues however massive, never seem to interfere with Alex's hit-after-hit seasonal designs! Since his sudden death, supermodel Naomi Campbell have debut Alexander's Spring pieces for her runway shows to benefit Haiti. 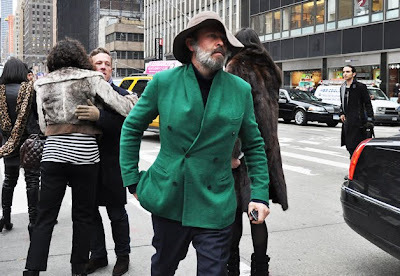 Although I'll miss his energetic collections I am pleased the Gucci Group will continue his design legacy moving forward. Rest In Perfect Peace Alex.